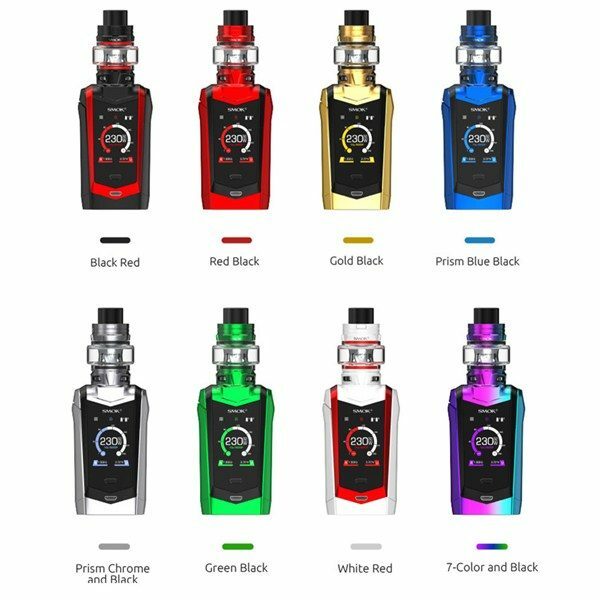 As a new member of the SMOK family, the SMOK Species Touch Screen Kit is the 2nd generation of the mysterious creature from the outer space, consisting of the SMOK Species TC MOD and the SMOK TFV8 Baby V2 Tank. The SMOK Species MOD is an angular TC MOD with hard lines, which features the newly designed 1.45” high-definition touch screen with upgraded user interface for more comprehensive and clearer vaping data. It works with dual 18650 batteries with 230W max output. Plus the independent screen locking button, the SMOK Species would provide a safe operation to you. And the SMOK TFV8 Baby V2 Tank has 5ml e-juice capacity and two powerful Baby V2 mesh coils-the Baby V2 A1 Coil with super large heating area and Baby V2 A2 Coil with dual heating cores. With Baby V2 Coil, the TFV8 Baby V2 Tank can fully satisfy the vaping fans’ pursuit of dense flavor and massive cloud. Apparently the SMOK Species is the 2nd generation of a mysterious creature from the outer space. 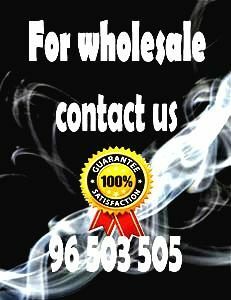 Of course that leads to a combination of vaping and high-tech gear to bring you wonderful vaping experiences. With hard lines on the angular mod and the back classic cobra pattern that they have used recently the mod features a new 1.45” high-def touch screen with upgraded user interface. Below the screen there is screen locking button, which makes locking/unlocking simple and secure. The mod is run off 2 high-rate 18650 batteries and can fire up to 230W maximum output with multiple protection. To finish the kit off we have the new TFV8 Baby V2 tank, which is a 30mm diameter with 5ml e-liquid capacity. This tank adopts two powerful coils – Baby V2 A1 Coil with a super large heating area and Baby V2 A2 Coil with dual heating cores. It will be interesting to see if SMOK can make further improvements on this tank!